Well, call me a "Lostie. "* Two months ago I had never even heard the term, and had completely no idea what I had been missing.Quite honestly, I had always kind of thought that "Lost " was a dramatized version of "Survivor" - and those who know me well know how much I hate reality TV. 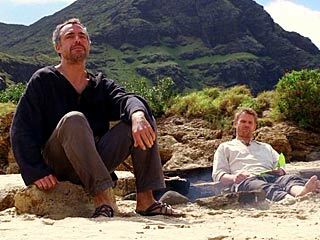 What I didn't realize, until my work friends persuaded me through their all-consuming obsession with the show, was that "Lost" has almost nothing to do with surviving on an island. Well, I mean sure, it would appear that way at first. But once you scratch the surface of this fantastic phenomenon, you see that it's about so much more. I started watching the series with Season 1, Episode 1 on August 17, 2010. 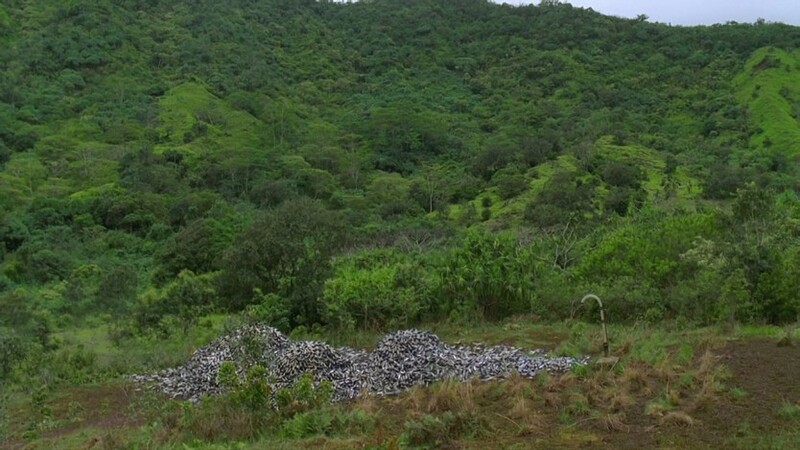 It didn't take long to realize that "Lost" was the mass media equivalent of the potato chip; for the next 40 days and 40 nights, I watched episode upon episode, sometimes as many as five or six in a day. When my wife and I weren't watching the show, we found ourselves constantly talking and thinking about the characters and conflicts, and wondering about the show's mysteries. Before I knew it, I was beginning to view life through "Lost"-colored lenses. As many fans will tell you, "Lost" is a life-changing experience. Yet, I've also found that it's very difficult to explain the show's powerful allure to the uninitiated ("Others," I now call them). 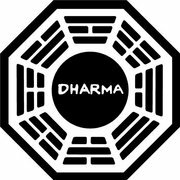 Friends and colleagues who haven't seen the show cast smirking glances at me and my Lostie friends as we frantically debate the exploits of the smoke monster, the details of the Dharma Initiative, and the significance of the sideways-flash. This series of posts, then, is an attempt to explain the unexplainable: to analyze and describe 15** things that make "Lost" a masterpiece - and hopefully convert some doubters in the process. Here, I focus on just one of the 15 - stay tuned for more! Thing #1. Ambiguity - Way back in 1995, I was privileged to attend a lecture given by the great Kurt Vonnegut . That evening, he presented a concept that has informed my appreciation of great literature and media ever since: the key to a great story is ambiguity. In a truly great work, he claimed, you're never 100% sure what to think or how to feel. While you might get a kick out of a movie like "When in Rome," the plot is predictable, and it's pretty clear how you're "supposed to" feel at the film's conclusion; consequently, there's not much to think about or discuss afterward. By contrast, the book/movie, "Of Mice and Men" leaves you thinking. In a practical way, George is free of the burden of watching over Lennie, and he probably gave his friend the most merciful death possible. But he's also left friendless, and must live with the memory and consequences of the decision he made. When I first read the book as a teenager, the ending stayed with me for weeks. On the ambiguity front, "Lost" delivers in spades.While watching the first season, I'm sure most viewers were pulling for the survivors to find a way back to their old lives. But as the series winds on, it becomes difficult to believe, with any certainty, that they'd be any better off. At first, the "Others" seem strange, menacing, sinister. By season 4, you begin to wonder who the real "Others" are. Ben's people? The Castaways? The freighter people? Everyone and anyone from the outside world? And what happened to Sayid? Dead? Dead inside? Zombified? Possessed? Or maybe just being manipulated? Such haziness is one of the show's hallmarks, and perhaps the greatest ambiguity of all is its title. Does "Lost" refer to being stranded on an island? Does it refer to the fact that all of the castaways are missing something significant in their "real lives"? Does it refer to the way the viewers feel as they attempt to pin down the details of the island's time/space location? When the show's network run concluded back in May, 2010, a fair number of fans felt that the finale provided a satisfying conclusion to the epic. A similar number responded angrily, outraged that the show had failed to "answer all of the questions" that it had posed. For instance, Jacob's explanation of the island as a "cork" that is the "only thing keeping the darkness where it belongs" (where the Darkness actually belongs, I might add, is on the Edge of Town, but more about that in November...) apparently didn't sit well with scientific-minded viewers who wanted a more concrete explanation. But what possible explanation could the show's creators have provided that would possibly satisfied such a need? And wouldn't doing so have robbed the rest of us the chance to do what we love doing so much: searching for answers? "Lost", I am certain, will continue to fascinate and thrill new and repeat viewers alike. I surely hope that, years down the line, I'll still be trying to figure out why the frozen donkey wheel deposits its manipulators on Tattoine (er... in Tunisia, I mean) and wondering how Jacob chose his candidates. But without the ambiguity, the show would end up much like the seasons of "24" that I've enjoyed - shows that provided short term excitement and intrigue, but that I have no need to watch, or even think about, again. * Contrary to popular opinion, "Lostie" and "Loser" are not interchangeable terms. ** I thought 10 would be more manageable, until my friend Cindy reminded me that "10" is not one of "the Numbers." But hey - 15 will be no problem; that's how great of a show it is! Just don't be surprised if I end up writing 23, or even 42, installments. Great post! Have you seen J.J. Abrams' "Mystery Box" talk on Ted.com? I like how he views mystery as "the catalyst for imagination." Looking forward to reading the next post. I haven't seen that talk, but I'm going to check it out ASAP! 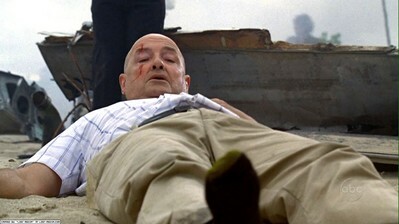 I thought it was great/funny on the show when John Locke took Ben's mystery box metaphor literally. Great topic. It's nice to see television creators finally embrace the power of ambiguity. For too long, television has trained us to be lazy viewers by giving us nothing to question. Now shows like "Lost" and "The Sopranos" are making us answer tough questions on our own. It's natural for people to react with anger - they've never been asked to do this before. Hopefully more producers will take this road less traveled and give us something to think about.